Suppressed by her religious mother, Sabrina Sloan yearns for more excitement in her dull life. In a shallow attempt to move forward, she marries the older Deacon of the church, but is liberated when he dies on their wedding night. Now free to find love and happiness, Sabrina discovers the dark side of love and lust when she is confronted by her new best friend Blair; when Blair thinks Sabrina has stolen the man she loves. Everyone has a secret, yet to be revealed. What will Blair do now the tables are turned and the Sloans are on the attack? Meet Amber. Meet Jade. Amber and Jade have been best friends since childhood, each growing up searching for the fairy tale romance with their knights in shining armor. Each achieves the ultimate dream for it to only turn to the ultimate nightmare. Last piece to the puzzle of the saga between Sabrina Sloan, Blair Brown, and Tobin Peterson. Who is the father of Blair's baby, Zebulon? Is it Tobin or is it Lee? How does Sabrina feel now Blair is a part of her family? Lots of questions from book two - Blair X - are answered and finalized in this third (last) installment. Stay tuned! After her husband mysteriously disappears, a quiet suburban housewife is the target of an organized crime family’s hit man. He suspects she is hiding their stolen money. But is she? 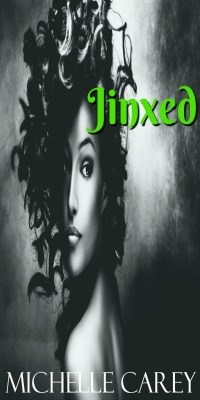 Jordan "Jinx" Monroe, put love on hold while she pursued her bowling career, but when she loses a major tournament and her fiance leaves her at the altar for one of her bridesmaids, Jinx needs to find her way back on the lanes and in love. Is Jinx jinxed?